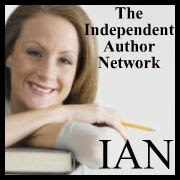 Novel Insights by Jeane Watier | Living (and writing about) the Law of Attraction! I woke up with clarity this morning (I love it when that happens!) about the evolution of my emotional condition. I got a detailed overview of the various stages through which I’ve progressed. For the first few decades of my life, my emotions seemed to be completely and totally tied to conditions—whatever was going on around me—and I was hardly aware of the correlation. Even if I made the connection in my mind, I felt powerless to do anything about it. Something would happen in my world and I’d have an emotional response. PERIOD. Then came enlightenment. For me it began about 15 years ago. But it was my introduction to Abraham-Hicks in 2004 that really kick-started my transformation. I learned that I had the ability to control my emotions (i.e. feel good on purpose.) That understanding transformed my life, taking me from depression to an overall state of happiness most of the time. It was a process, though; it certainly didn’t happen overnight. As I realized I could decide how I wanted to feel—by continually choosing thoughts that felt better—my work became establishing/ controlling/ maintaining my emotional well-being. HOWEVER… I can see now that I was still observing conditions, having emotional responses, and then dealing with them. As I became aware of my changed vibration/ emotion, I would do the work—that is, apply the processes I was learning from Abraham and bring myself back to the joy which was becoming my set-point. NOTE: at the beginning this took weeks or even months. Over time, I could do it in days or hours if not minutes. Nevertheless, I was becoming a deliberate creator and excited about it!! But what I had yet to learn is that the creation process is much more than just responding to conditions. I understand now (Thank you, Abraham!!) that my emotions—how I choose to feel in the moment—can be utterly free of conditions. I can select, conjure, and enjoy the preferred feeling regardless of what’s going on around me. This, too, has been a process. I’ve been practicing for months now. It’s so liberating! Conditions are still an important part of the play that I’m in, but they’re just the props, the background music, and the supporting actors. Emotions take center stage. In fact, they set the stage—determine which props are needed, pick the background music that matches the scene, and call on the appropriate actors to support my play. I’ve become quite good at conjuring emotions (my last blog touched on that, and I’ll probably have more to offer about it in the coming weeks.) For now, I’ll just say its exciting, empowering, addictive, and just plain FUN!! Where I’ll go from here in my emotional evolution, I don’t know. I certainly haven’t “arrived” (we never do.) However, I’m content to play with this new understanding for a while and look eagerly forward to the next aha! 2014 has been an amazing year of expansion—of wonderful, satisfying growth! I’ve been giving myself numerous opportunities to practice Step 4. I’m really beginning to not just understand but to practice UNCONDITIONAL LOVE (good-feeling EMOTION not based on or stemming from a condition). My ultimate desire is to feel good, to be in alignment, to be in those high-flying emotions consistently—all without needing conditions to change! I was also aware—and this is a recent AHA! for me—that I didn’t just want to find a pleasant condition and look there so I could feel better (i.e. the morning sun shining in my front window, the taste of my delicious latte). That’s the way I tried to feel better in the past, but knowing what I know now, there’s a downside to that – like when the sky is gray or I’m out of milk for my latte. INSTEAD, I knew I wanted to find that better feeling FIRST, and then be inspired where to look or what to do! And because I’ve been practicing, it didn’t take long to do just that. I realized that in the past I’ve tried to avoid thinking about certain desires because thinking about them was often painful. I tried to protect myself against the possible hurt and disappointment. I subconsciously set up the association: Desire X = lack. That unconscious association sent out warnings: Caution! Thinking about Desire X when it hasn’t happened—and not knowing when it will happen—will bring up feelings of lack, disappointment and discouragement! Because of this I often went to great lengths to avoid the topic. I saw how I’ve done this repeatedly, unknowingly. I’ve picked up what Abraham calls the stick (I gave my attention to a subject) and briefly glanced at the fruitful end. But just as quickly I turned my gaze to the other end, the lack end, and kept it there. Then I wrongly concluded that focusing on that subject is painful and somehow dangerous, and it’s better to stop looking altogether. Now I see what I’ve been missing. Now I can keep my focus/ my attention on the fruitful end of the stick and drink the sweet nectar it offers. Anyway, this morning something new/ different happened. In reaching for and finding a general good feeling of alignment (sans condition! ), I quickly felt myself moving toward specifics. The words adventure and fun popped into my mind. I repeated them a few times, like Esther Hicks does, and soon thoughts/images began to appear in my mind. I’m assuming that because I had already activated thoughts of Desire X, these new thoughts/ images were also associated with that taboo desire. Only it wasn’t taboo anymore!! I began to think about Desire X in a whole new way! Instead of thinking about it and feeling lack as in the past, I began using aspects and elements of my desire to augment, supplement, enhance, intensify emotions I was already feeling (i.e. adventure and fun). I realized for the first time that the desire itself was rich with potential, dripping with opportunity to focus, primed and ready to take me on a very satisfying ride. All along it’s been offering me something absolutely wonderful. Only I couldn’t see it! It seems clear to me now that this may be the very reason we have desires—not just to see them manifest, that’s only a small part of it. Our desires hold not just the potential for manifestation and ultimate expansion, they offer a direct route to what we truly want which is the good-feeling place—a place we mistakingly believe is beyond (and dependent on) the full-blown manifestation. It’s not!! The idea, the possibility of Desire X happening (doesn’t matter when or how) holds for me an endless source of adventure and fun. I don’t need it to manifest in order to experience those feelings. It’s offering me so much right now. I couldn’t experience it with an attitude like: “This will feel good when it finally happens.” OR “I don’t want to let myself get too excited because what if it doesn’t happen soon, or at all.” Those old tapes have stopped playing! Now I want to dive in and experience the deliciousness of all that pre-manifestation has to offer! I’m returning to blog-writing after a couple of hours, and I can joyfully claim I did just that—I let myself dive into Desire X in a way I never have before. I went higher, deeper, further than ever before. I imagined things I’d never dared to imagine—took visualization to a whole new level for me. This time there was no fear of disappointment, no caution flags waving—things that in the past would have diverted my attention to the other end of the stick. The experience was pure joy, undeniably fun, and filled with delicious, satisfying morsels of adventure. And it’s there for me any time I want! The sweet nectar is not the manifestation; it’s the realization that the emotional journey TO the manifestation IS the main event, the truly desired desire! This much I knew—intellectually at least. The new piece for me is that I now understand (and can feel) that my emotional journey is meant to be taken THROUGH my desires not in spite of them. This is HUGE for me as I have been attempting to feel good while ignoring/ denying certain long held desires—and while I’ve succeeded to a degree (I do feel good much of the time), there’s something off about the approach. There’s a great measure of FREEDOM and RELIEF in this for me, and what feels like the direct route I mentioned. No more having to avoid certain subjects, no more sidestepping potential land-mines!! Finally, let me say that manifestation is great, but I prefer to think of it as a lovely dessert after a satisfying meal, a delightful by-product, a wonderful after-effect, a souvenir of a memorable journey. It may even be the proof to others, but it’s no longer the proof I need of the power and control I can have over my own experience. When I read this quote from THE INTENTION EXPERIMENT, by Lynne McTaggart (author of The Field), I was reminded, as Abraham-Hicks always says, that we never get it done. Contrast causes us to have preferences and as we determine what we want (by knowing what we don’t), our newly formed desire causes Source, of which we’re a part, to become more. When we ask it is given. Source then becomes the vibrational equivalent of our desire, thereby causing the expansion of the Universe. The second purpose is to help us to focus. As we focus on our desire, we can tell by our feelings where we are in relationship to it. Focus causes vibrational movement to or away from our object of desire. Deliberate movement toward our desire is life-giving. Why? Because in moving toward our desire we’re moving toward our Source, our Inner Being, God. Ultimately, it’s alignment that we truly want, and our day to day desires provide us with the impetus to seek that vibrational alignment as well as the evidence that we’ve attained it. 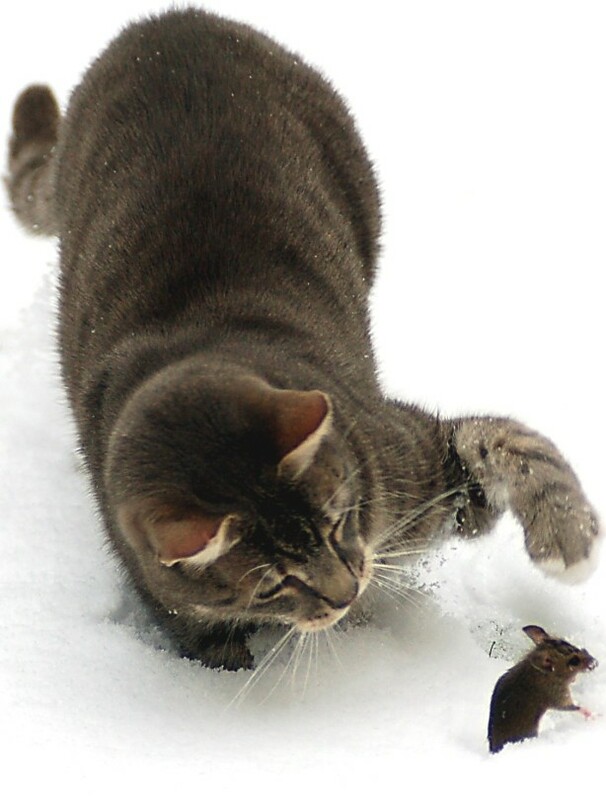 Growing up on a farm, I used to watch cats catch mice and then play with them endlessly, it seemed. They’d let them go, watch them run a few feet and catch them again. It seemed cruel and I’d think, “Just kill it already instead of torturing the poor thing.” But now as I imagine it from the cat’s perspective, I understand more clearly why they do this. It’s the same reason we’re set up the way we are. Why we keep having desires, why we experience contrast. It’s the seeking and finding, the asking and receiving. It’s the not having and then seeing that first hint of evidence that brings us closer to our desire, the not knowing and then getting a whiff of the answer. I’ve had many desires manifest, and I’ve noticed the satisfaction is often short-lived. There’s that sense of ”Okay, now what?” that inevitably follows. The ‘now what?’ is another desire, and another, and another. The thrill is in moving toward them not arriving. Cats can teach us a lot of things. I’m learning that life is a game, and having fun is what it’s all about. (You say) ‘I’m going to like the freshness of a new desire and I’m not going to be unhappy about it not manifesting instantly because it is the object of attention to which I’m flowing my energy. It’s what’s giving me the reason for life. I’m going to have a joyous unfolding. (We say) Your manifestations are meant to punctuate your alignment, not to be the reason for it. Our manifestations are meant to punctuate our alignment! That last statement really caught my attention. Maybe because as a writer I understand the importance of punctuation. Of course the word means to interrupt or intersperse, to occur at intervals, and it’s meaning goes far beyond the marks we insert in the written word. Nevertheless, an analogy occurred to me. Punctuation is important. Remove it from the written word and all you’d have is a long string of words making very little sense. Change the punctuation and you can change the entire meaning of a sentence. Having said this, it is first and foremost the words that communicate, that convey a story, that entertain and inform. The punctuation merely highlights and refines the written word. Alone it is meaningless. You’d never rush through a sentence to get to the period at the end. You appreciate the presence and placement of it, but move quickly to the next sentence. So it is with manifestation. So often in my life I’ve heard the phrase, “Life is about the journey, not about the destination.” Life is about the joy, not the manifestations. This is one of the major tenets of Abraham’s teaching, yet I’ll admit, I still find myself at times looking to the manifestation to enhance my joy, or underscore my worthiness. What I want above all is to appreciate the perfection of my journey, to celebrate the consistency of my quest for joy, and to know the inevitability of alignment―which is my true reason for being. After that I want to enjoy and appreciate the never-ending stream of manifestations that highlight and refine, punctuating my joyous journey with the visible, tangible evidence of my alignment.